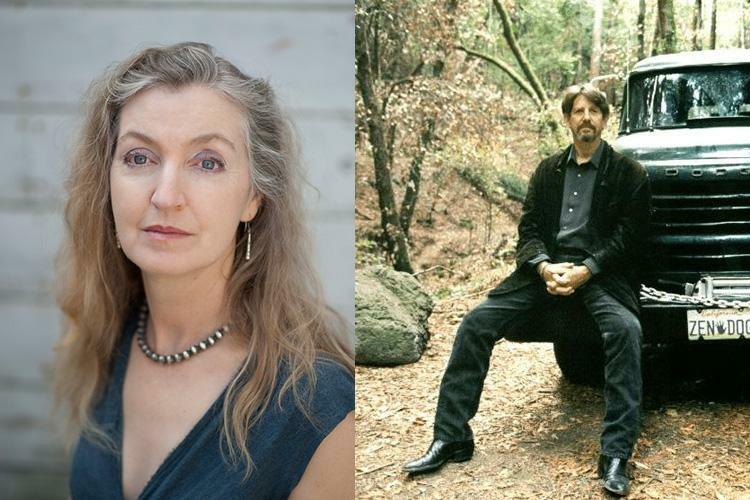 Last Wednesday evening, November 29, Copperfield’s in Petaluma hosted a reading and conversation with Rebecca Solnit and Peter Coyote, which was also a fund-raiser for Undocufund.org, a nonprofit assisting undocumented victims of the recent fires. Solnit read from her 2010 book A Paradise Built in Hell: The Extraordinary Communities That Arise in Disaster, and Peter Coyote, now a resident of Sebastopol, spoke of his experiences in the 1960’s with The Diggers, an anarchist activist group in the Haight-Ashbury. The focus of the evening was the spontaneous altruism and activism that arises from disaster: people coming together to help in ways that circumvent the red-tape of government or institutions. Coyote exhorted Sonoma County to look at the devastation of the fires as an opportunity to radically redefine our relationship to community, to government, and to each other. Solnit and Coyote invited those in the audience who experienced first-hand this revolution of compassion to share their stories, suggestions, and questions about how to move forward without losing the vision of community forged by the fires. 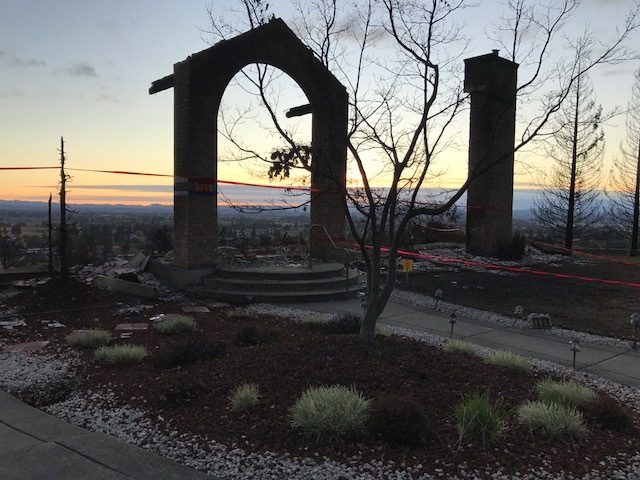 Solnit spent some time in Sonoma County in the aftermath of the fires, and wrote a piece for the New Yorker , which not only brought the scope of the fires to the nation’s attention, but also spotlighted Sonoma County’s remarkable community of kindness. Here’s the link, if you’d like to read it: https://www.newyorker.com/news/news-desk/a-fire-devastated-northern-california-takes-care-of-its-own. I want to extend my personal thanks to all who helped organize the “Rising from the Ashes” community poetry reading last month; to the members of our literary community who read their poems and shared their experience of exile and loss; to Jean Wong and Marc Helfman for their moving rendition of Mozart; and to the standing-room-only crowd that came together on November 12 to hold a space of comfort and shared strength. Due to the destruction and disruption of the fires which recently ravaged Sonoma County, the nomination period for Sonoma County’s 10th Poet Laureate has been extended to January 15, 2018. This change was made after serious deliberation by the Poet Laureate Selection Committee out of concern for those in the literary community still dealing with the impact of the firestorm. Nominations already received will be considered equally with those to come. The 10th Poet Laureate will be presented to the Sonoma County Board of Supervisors in March and to the public at the beginning of April, 2018. The position includes a stipend of $1,000. For more information contact Cynthi Stefenoni at cynthi@sebastopolfilm.org or call the Sebastopol Center for the Arts at 707-829-4797. Because of the April date for the installation of the new Poet Laureate, whoever that may be, in the months ahead, Iris Jamahl Dunkle will be partnering with the Sonoma Historical Society, the Sebastopol Center for the Arts and other partners to collect stories about the fire and write poems based on the stories. If you have a story you would like to share, or, if you are interested in participating in this project, please email: iris.dunkle@gmail.com. This call for poetry and photography is from haiku poet Jessica Malone Latham and community activist and environmental advocate Kristin Maharg Suarez. The anthology aims to give Sonoma County residents a forum to share their voice and create a breathing piece of history. Deadline for submissions is December 31, 2017. Please see Calls for Submissions page for details. Check out our calendar page for listings of literary events for December and January. Here are two I’d like to give a special shout-out to. On Saturday, December 9, 2:00 p.m. and Sunday, December 10, 6:00 p.m., The Vocal Conspiracy, an older adult readers theatre company, presents its premiere show, A Vocal Conspiracy Holiday, at the 6th Street Playhouse Studio Theatre. Tickets $10.00. See details on the calendar page for purchasing tickets. And on Monday, December 11, 6:00-8:30 p.m., you’ll have a chance to dine with local authors at Gaia’s Garden, 1899 Mendocino Ave., Santa Rosa. Come join us to hear six authors read from their latest books. For reservations: info@jeaneslone.com or 544-2491 minimum $5.00 food purchase. 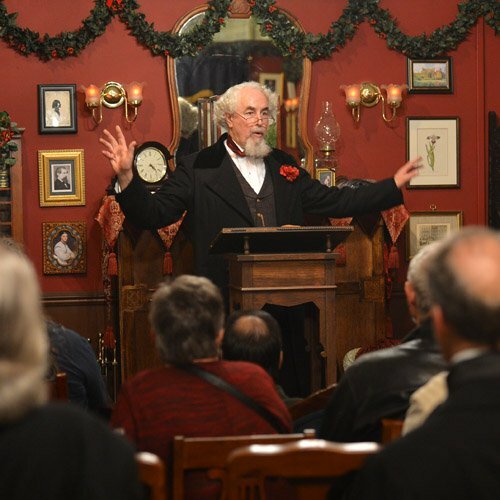 And don’t forget the Great Dickens Christmas Fair, running weekends through December 17, an annual event at the Cow Palace in Brisbane, where you can enjoy the literary characters from Dickens’s “A Christmas Carol” and other Victorian figures in live, interactive performances. My own personal favorite activity at the fair is to listen to Charles Dickens reading from his classic Christmas tale in various locations throughout the recreated London. This year, he was introduced by Lewis Carol, reciting “The Walrus and the Carpenter. It’s great fun! Here’s the link for upcoming dates and tickets: https://dickensfair.com/. Earlier this year, Trump’s proposed budget left the NEA with only enough funds to close up shop. Fortunately, our Congress pushed back and restored funds for the NEA to award fellowships grants for creative writing and for translation. I’m pleased and honored to announce that the project I submitted for translating Plagios, the poems of Mexican poet Ulalume Gonzalez de Leon, has been awarded a grant. I’ll share this honor and the $12,500 award with my co-editors, Nancy J. Morales and John Johnson. These funds will help support our translation work. We aim to publish the first volume of Plagios in 2020. An unfortunate fallout from the astonishing shift in consciousness regarding sexual harassment of women is that we’ve lost one of the shining beacons of literacy in our county: The Writer’s Almanac, hosted by Garrison Keillor. For years, I’ve started my day with poetry posts from the Almanac, along with the “Poem a Day” from Poets.org, and Larry Robinson’s inspirational poetry selection of the day—which always seems to touch some nerve inside I didn’t even know I was feeling. My diet will be thinner now. The poem I’ve selected to end this month’s post appeared on the Writer’s Almanac on October 23. When I read Paul Zimmer’s poem, the images called to mind the miracle of spontaneous kindness Solnit documents in A Paradise Built in Hell, as well as the vision of Paradise as a realm of light which Dante offer us. I salute our community for rising so selflessly and generously to meet the needs of others during the fires and in all the weeks since. Here’s to holding that vision of the revolution of compassion in our days, weeks, years ahead. Dusk comes as perfect ripeness. As they unwrap in twilight. At last when coldness comes. “The Place” by Paul Zimmer from Crossing to Sunlight Revisited. © The University of Georgia Press, 2007.